In 2014, the New York times reported that over 100 companies, most of them life science companies, had been victims of cybertheft. 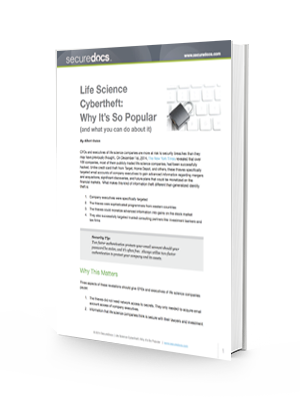 Life science companies are attractive targets to cyberthieves. Fortunately, a few basic measures to protect your company can go a long way.